Review – Page 2 – Sue's Reviews. Magee Sinclair works for the family advertising agency and is set to take over the helm once her father retires. Recently though, she just cannot get anything right. Desperate to prove she is not a screw up she is relieved when she lands a contract, a contract she believes will save her career. There is only one problem though, when she met with Justin Kane, the owner of a bike shop. Justin hopes to expand his bike shop and Magee promised him she was the right person for the job. But she had to tell a lie to get him to agree to use her family’s advertising agency. When Justin’s girlfriend dumps him just before the client he is trying to woo flies into the country, he finds himself turning to Magee to help him out of a bind. After all, she has as much to lose as he does if the client does not invest in his company. Justin needs a temporary girlfriend, a woman who told him she loved mountain biking as much as he did. When Justin approaches Magee asking her to be his stand in girlfriend, outlining what the weekend will entail, she cannot believe that her small, white lie has come back to haunt her in such a way. But, believing she can pull the whole pretend girlfriend gig off without anyone being any the wiser, she agrees. This is a very fast paced read, but really enjoyable all the same. It is not difficult keeping up with the plot. You know its going to go wrong eventually. Magee is a very likable character and you find yourself willing everything to work out for her and Justin, especially when Tina, Justin’s ex, turns up causing a scene and threatening to expose the lie. New York heiress Lizzie Hathaway is not quite the media babe you might expect her to be, she is anything but. This does not bother her though, she thinks she is the luckiest woman alive as she has found her dream man in Conroy Beale, a man she believes is every bit as rich as she is. Conroy makes her feel good about herself, she isn’t exactly the typical heiress type and is lacking in confidence when it comes to her appearance and personal life. That Conroy chose her has her walking on cloud nine, and when he proposes to her she feels like the luckiest woman alive. But then her whole world comes crashing down around her in spectacular style. Her father is arrested for fraud after he has embezzled all of Lizzie’s inheritance and then she finds out that Conroy is not the man he claims to be. Lizzie is devastated, firstly she has to endure the very public scandal surrounding her father and then she discovers that Conroy is not the rich tycoon he told her he was, instead he is a mechanic with no money. Believing that Conroy does not really love her, and that all he was truly after was her money, Lizzie spirals out of control. But Conroy truly does love her and now he must prove that he is not just out for what he get out of her. In order to this he kidnaps Lizzie and then allows himself to be dragged back to the Bayou where he hails from. Lizzie believes she has conned Conroy into marrying her – exclusively filmed by her scheming cousin who works for a TV company. What she does not bank on are her growing feelings for the man she believes has duped her. From the moment I began reading this book I was totally hooked. I loved the characters, the plot and the ending was fantastic. I loved the concept, loved how the guy was poor for a change. I loved how everything went belly up and the woman acted bad and the guy was the one trying to put everything right. Review of A Faded Cottage. Quaid Witherspoon’s life is turned upside down when he becomes ill and is unable to continue with his painting. Quaid is a very rich man and has always had everything that money can buy. One summer, during his teens, he met Sandy and fell fast and hard for her, but his family were less than impressed with his choice of girlfriend. Like the dutiful son Quiad did as his parents bid and married a dutiful, rich girl more suited to their lifestyle than someone like Sandy. Fast forward thirty years and Quaid has returned to the place where he and Sandy first met. He is living a quiet life now, away from prying eyes, out of the public eye where he can avoid the pitying stares of his many fans, friends and family, along with the media and general public. Quaid is a critically acclaimed artist but since his illness he has not been able to hold a paint brush. He cannot stand the pity he receives from others so he goes away to Hathaway Cove to avoid the public eye. The story centres around two weeks of Quaid’s life; the two weeks around Christmas time. Sandy turns up and their relationship springs back to life, much to the delight of Quaid. But Sandy is hiding something from him, a secret she fears will take him away from her again. When I first started reading this book I actually thought I was not going to enjoy the story. It took me a little while to get into it, but then I found I was enjoying the story and became easily engrossed in it. Towards the end of the book I felt the story became rushed, and I did not enjoy that. For me, it spoilt the story somewhat; given that the story had romantic overtones I felt leaving the reader guessing would have been a much nicer ending, rather than the methodical tidying up of loose ends. Overall the story was slow to start and the ending was less than satisfactory, in my opinion. That said, the main bulk of the story was well written and a pretty good read. Annie Kendall is a recovering alcoholic who has come to London, from the USA to revive her career. Annie is an architectural historian and the Shalom Foundation, headed by Philip ~Weinraub, has head-hunted her to work for them. The brief is to locate several pieces of Judaica – historical items significant to the Jewish faith – rumoured to have been gifted by a mystery man known as the Jew Of Holborn. Annie isn’t certain that such a figure actually existed, he was said to be around during Henry VIII’s reign and as this was a particularly unsettled religious time, especially for Jews, it seems unlikely that such a man would have been open about his beliefs, let alone lavish the religious artefacts upon the chosen people. But Annie is keen to reignite her career and what better way than to prove that the Jew Of Holborn is more than a myth but also to find his missing treasures. Her flight and accommodation are arranged by the Shalom Foundation, she is to stay in an appartment in Bristol House for the duration of her trip. The owner is going away for a while and her niece, in the employ of the Shalom Foundation, arranges for her to rent the appartment whilst her Aunt is away. Before she takes possession of the appartment she is instructed by the owner to take an inventory of the furniture and items of art etc that are in the flat. It is while she is doing this that she encounters a monk. The puzzling fact is that he is a Carthusian monk and definitely not from this era. At first Annie is a little spooked by these events but pretty soon she finds herself engrossed in her research which accidentally introduces her to Geoff Harris, a TV celebrity, renowned for his investigative journalism and his current affairs show. Of course Annie has no idea who he is but she warms to him immediately. Throughout the book we are subjected to Annie’s history, her remorse for her actions in the past, her enthusiasm for her research and her keen sense of something not being right about the whole gig she has signed herself up to. With the help of Geoff and his mother and her friend they uncover some startling revelations about the Tudor past and th Jew Of Holborn, with a link to the present day. They also uncover a plot by Philip Weinraub to wreak havoc within the Catholic church and right in the midst of Rome itself. The book is a pleasant read, plenty of action and suspense to keep the reader hooked from start to finsih. The suspense at the end of the book is quite thrilling, ensuring the reader stays with the story right until the end. I thoroughly enjoyed this book and would recommend it to everyone. It has something for everyone, from mystery to romance and loads of history thrown into the mix too. This lovely story is a Christian fiction novel – I was a bit dubious at first, being a Pagan I was uncertain to how much religion was going to be in the book. I think it is fair to worry about such things when one does not follow the religion in a book, or is not religious at all. After all, there are books in this genre that all but shove the religious aspect down the throat of the reader. I have to admit I was pleasantly surprised at how much I enjoyed this story. The author does not overwhelm the reader with religion, which made me want to keep reading. The Guardian is about Jodi Winfield’s struggle with her belief in God. 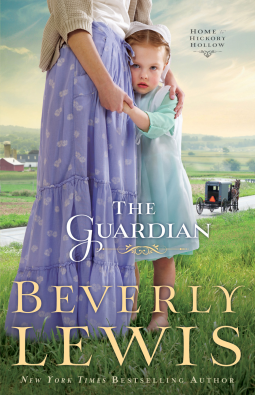 The story begins with an Amish family returning home from a day out; the family – mother Maryanna, who is a widower, and her young children are travelling in a horse and cart when the youngest child accidentally falls out of the cart. The next morning whilst out for her morning run, Jodi stumbles across the child. She fails to find out her identity as the child speaks no English at all. Jodi imagines all sorts of scenarios that have led to a child as young as the one she found wandering about the open countryside in her under garments. She rings her cousin, a local police officer who she is house sitting for and after telling him a few facts about the child he suggests she goes along to the nearby Amish community. He is certain the child must have come from there, he explains that the Amish community are always reluctant to involve outsiders in their business so it is unlikely they will have alerted the police about her disappearance. When Jodi returns the small girl, who she discovers is called Sarah, to her family in Hickory Hollow, a friendship begins between herself and the child and her family. Maryanna, Sarah’s mother feels eternally grateful for Jodi bringing Sarah home, but is not sure she should be so friendly with an Englischer – the name the Amish community gives to non Amish people. They soon become good friends when Jodi is invited to be the temporary teacher at the Amish school. The book deals a lot with Jodi’s lapse in faith. She lost her faith in God after her beloved sister died. She has even vowed not to have children of her own, much to the dismay of her fiance, Trent. 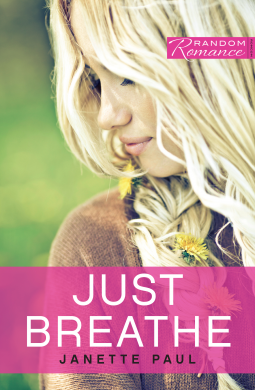 Jodi just feels as though she is in a bad place; her sister died and she is struggling with her grief. Her fiance is about to go to Japan for a year to teach English. Then she loses her teaching job in Vermont. Before I read this book I had noticed some of the reviews really slating this book because of the religious theme to it. I do agree with one, in a way you are misled into believing that the story is a mystery, rather than a Christian themed happy-ever-after affair. But if you can push your feelings about the religion aside you will find that you can empathise with Jodi as she struggles with her grief, her loss of faith and her place in the world. I found the story to be more believable with the plot it has, rather than having the character go off on some wild, crazy adventure in order to find herself. That Jodi was thrust amidst such a devout group of people made perfect sense. She witnessed Maryanna’s struggles, bringing up four young children after the death of her husband and battling with her conscience with regards to her near neighbour – and deceased husband’s best friend, a widower – who is clearly smitten with her. Having Jodi go off and be wild, crazy and spontaneous may have made for a better read for some people, but the fact that she was always going to rediscover her faith would have felt really out of place; this plot made much more sense. All of the religious references were necessary to the plot and certainly were not over the top at all. I would give this book 4 stars **** and can certainly recommend it for lovers of this genre, or for anyone looking for a pleasant read. Review of One Step Too Far. This is the story of Emily who has everything – a lovely, safe life in Manchester, husband, child, security. Suddenly it is all ripped away from her – the author leaves us guessing right the way through the book as to what exactly has happened to cause Emily to ac as she did – and Emily ceases to be. She runs away to London and becomes Cat, where she embarks on quite a seedy life for a while, desperately trying to escape the pain and torment that her past has caused. She almost succeeds too, she gets a good job, has a life of sorts and finally begins to feel she has outrun her past. But her new life comes crashing down around her on the anniversary of the day her life had previously fallen apart. At the very beginning of this book one senses they will be rather perplexed by the plot. The plot has more twists and turns in it than I was really comfortable with, it launches back and forth from past to present and from the main protagonist to less important characters, then back to the protagonist again. This gives the story a rather disjointed feel, at times it feels very confusing and frustrating. My biggest grumble, however, is at the very end of the story where we jump so far into the future. This did not really work for me, the end of the present day story felt as though it had been unresolved and the lack of use of characters names in the narrative was very frustrating. I am not sure how I felt about Emily/Cat. Emily was a character I could believe in, but Cat seemed as disjointed as the story. I guess that was the point, given all she was running away from and all she had endured. I just felt unable to warm to her though and many times wondered how she had managed to let her life slip so out of control. Again, the effects of grief and suffering can do many a strange thing to a person who was once of sound mind. The big sting in the tale is Charlie. It bugged me so much I read several reviews – whilst still only half way through the book – until I learnt the truth about Charlie. This did not make me feel any better, it left me angrier at Emily/Cat, although I am pleased I had read up on that particular plot twist rather than having it thrust upon me in the natural way. I have to give this book four stars. It is a gripping tale of love and loss and makes the reader feel like they are enduring the roller coaster of emotions that the characters are experiencing. The ending stops me from giving it full marks – sorry, I felt so dissatisfied with it all. 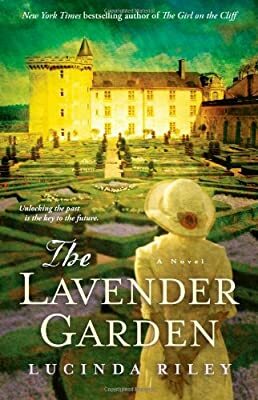 Set in both modern day – well, the late 90’s – and the Second World War this novel tells the story of Emilie de la Martineres and her whirlwind romance with Sebastian Carruthers. It emerges that Emilie’s father and Seb’s grandmother were close friends during the Second World War. As Emilie unravels the past her future certainly isn’t as rosy as she had hoped. For me the best part of this novel was the reliving the dramas of the Second World War. I found this part of the story very intriguing and just as I thought I had parts of the plot dissed out, the author would throw in a plot twist to keep me on my toes. At one point, towards the middle of the book – during a modern day section – I really grew fed up with Emelie’s character and considered not reading on until the end. But I persevered and bit was I glad I did! The gripping tale took a whole new twist and I ended up staying up until the wee, small hours just to find out how everything turned out. The story is quite strong and the characters from the past are too. Emelie was a bit hit and miss for me, and Sebastian made my skin crawl right from the word go. The fantasy genre is becoming my favourite genre, so I looked forward to reading this book. It did not disappoint. It is well written and the author uses clever language to explain her characters and their powers in a way that makes sense to the story line, and does not come acoss like a reference section! Written in the first person the story follows Aidan Brook, a water elemental, who has lived in solitude for a decade. 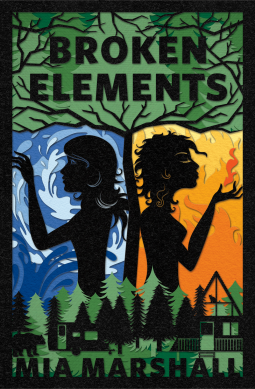 She left her old life in Lake Tahoe behind after she could not prevent the deaths of three people who got caught up in a murder spree her and her best friend, fire elemental Sera, were unwittingly caught up in. But now Sera has found her and she has some terrible news to share; their mutual best friend, Chris, was murdered recently and his murder bears all the hallmarks of the killings ten years earlier. The book follows Aidan and Sera as they link up with a couple of other elementals and a couple of shapeshifters all hell bent on finding the killer and bringing him to justice. The book was a thrilling read and I found I could not put it down. Early on in this book I thought to myself “I know who the killer is” but then dismissed my thought. Later on when the killer’s identity is revealed I discovered I had been right after all. That does not mean the author made it obvious who the killer is, I just had a gut feeling when I read a certain paragraph. This book was a joy to read, compelling, thrilling and difficult to put down! Thoroughly recommend giving it a read – you certainly won’t be disappointed. I absolutely loved this book. I did not expect to enjoy it as much as I did, I was pleasantly surprised by how much I enjoyed this! Dee Nichols is a yoga teacher. She took up yoga after a terrible car accident left her paralysed, but she was determined her injury was not going to define her and so took up yoga. She gained so much from the yoga that she became a yoga teacher. Before the accident she had the kind of man in her life that many a woman dreams about – handsome, successful, wealthy….but after the accident Dee’s ex just could not accept her and so he dumped her. This made Dee determined never to get involved with a suit again. That was before she met Ethan Roxborough, a wealthy, handsome, successful businessman. Dee was invited to the Christmas party of Lucy Roxborough, Ethan’s sister whom she teaches yoga to, and the moment they met they became intrigued with one another. Lucy offers Dee a job for a health insurance company that the Roxborough company owns, and given that Dee is short of cash she accepts. We follow Dee on her journey to success. Prior to her accident she was a radiographer and had the kind of lifestyle her socialite mother approved of. After the accident Dee became so scared of committing to anything, or anyone, that she found she was thoroughly content with her “hippie” lifestyle, much to her mother’s disdain. After the success of the yoga commercial Dee becomes involved with Ethan, as a protege of sorts. Ethan offers Dee free business advice and promises to help her network. Inevitably they grow close and a secret romance starts up. Ethan has a reputation of being a ladies man – he is always photographed in the media with a different woman on his arm, these women are dubbed Roxborough girls – and Dee is not so keen to fall into this category. Inevitably their secret gets out and Dee overhears Ethan and Lucy discussing the matter, but misunderstands what they are saying. she storms out of Ethan’s appartment, hurt, confused, humiliated, not giving either Ethan or Lucy the chance to explain themselves. It is also at this time that Lucy goes away and her assistant cancels her yoga lessons with Dee, leaving Dee to feel that Lucy does not think she is good enough for her brother. After a couple of weeks of moping and thoroughly feeling miserable, plus having quite a few business options to decide upon, Dee decides she may as well just follow her best friend abroad to help him with his yoga tours. But her mother suffers a heart attack and this tragedy helps Dee make her peace with her mum and also face the demons that have been haunting her since her accident. It is at this time Lucy returns to the country and gets in touch with Dee, explaining her absence – which had nothing at all to do with Dee and Ethan and everything to do with her father-in-law taking ill. After realising she had been wrong about the day she overheard Ethan and Lucy talking about the affair. After a long chat, Lucy assures Dee that her brother is interested in her and also explains about the Roxborough girls – which is everything to do with publicity shots for social functions and nothing to do with Ethan’s personal life. She finally makes her peace with Ethan, and as is the way with this genre, they get their happy ending. Highly recommending this book and giving it ***** 5 stars. Well worth a read!!! 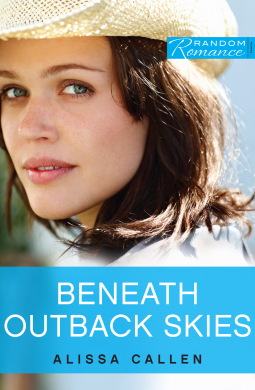 Paige Quinn runs the family farm in the Australian Outback. She comes across as a bit of a tomboy, certainly not one to ask for help for anything. She also comes across as a tough cookie – one would have to be to survive in that sort of job in that kind of terrain. Her father is worried about her though. He is confined to a wheelchair after a tractor accident several years earlier, so he is unable to do any of the physical stuff. He can, however, do the paperwork and he knows that Banora Downs, the name of the family farm, is in poor financial health. Once upon a time Banora Downs used to take in paying guests, but that has not happened so much recently. Paige’s father has a plan though. Cue Tait Cavanaugh. He turns up at the farm looking for a place to stay for a little while. Paige is pretty bewildered by his arrival as it has been sometime since Banora Downs has had paying guests. She demands to know how Tait found out about the farm, but he is pretty evasive about how he discovered the farm, blaming his secretary for looking the place up online. Paige does not really believe his story, but she cannot be certain the farm does not still have a web presence. Tait claims he wants to spend some time out of touch with everyone he knows, and he also wants to experience life in the outback. Paige is amused by this, Tait has arrived in a very expensive car and has the markings of a wealthy man, a man more suited to the boardroom, not the wilderness of the Australian outback. She agrees to show Tait what life is like, but she does not trust that he is being totally honest with her about his motives for being in the outback. The story follows the pair as they grow closer and secrets are revealed. It is an easy narrative to follow and a pretty pleasant read. I enjoyed reading this book and can recommend it to lovers of this genre.